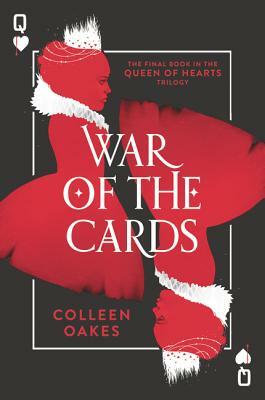 Colleen Oakes’s twisted reimagining of the Queen of Hearts origin story comes to a thrilling conclusion in War of the Cards—now in paperback! Now a dark queen has risen out of the ashes of her former life. Fury is blooming inside Dinah, poisoning her soul and twisting her mind. All she has left is Wonderland and her crown, and her obsession to fight for both. But the war rages on and Dinah could inherit a blood-stained throne.